How do you prepare for the comments you give at our meetings? Do you highlight a sentence in the study material & freestyle it on the fly? Do you write your thoughts in the margins of the material on the page? Maybe you use the JW App to create study notes that correspond to each paragraph. Or maybe you’re a little bit old school a like o write down your comments so you can share that special spiritual gem very precisely. 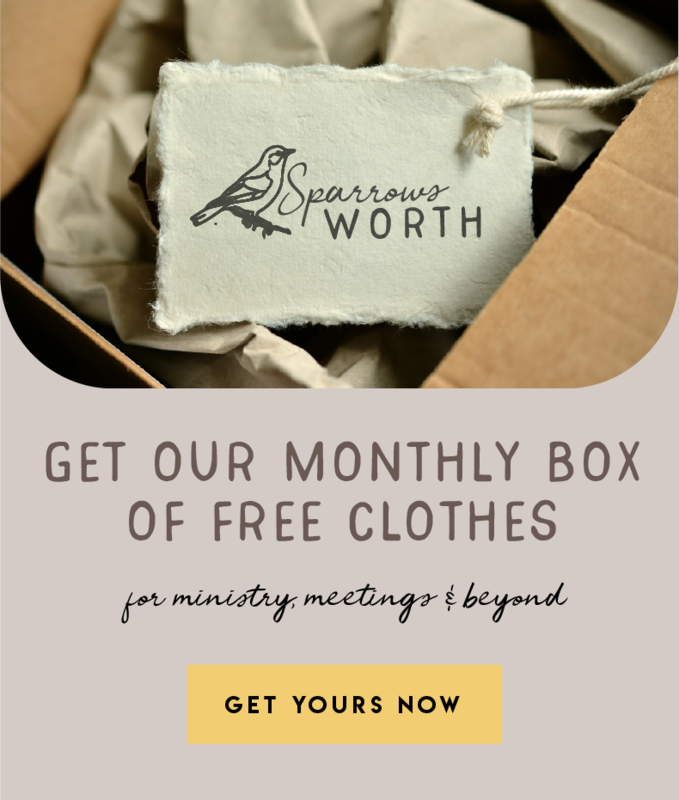 There’s no wrong way to prep for a comment, but today’s printable is for our friends that love taking pen to paper to write down encouraging thoughts. 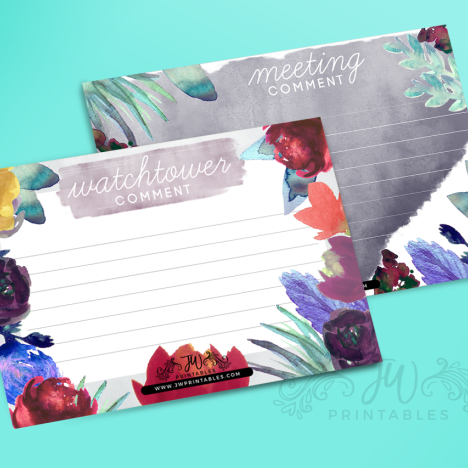 : ) This printable has beautiful illustrations & is a great tool for those just learning to prepare comments or who just like a little something pretty to take with them every meeting. 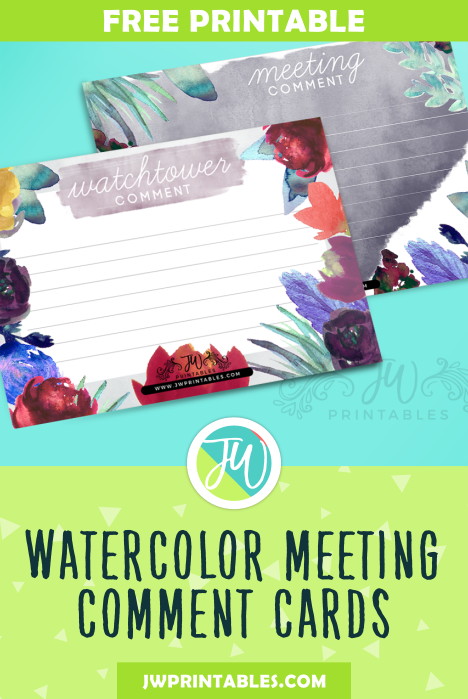 We hope you all enjoy today’s special gift from us, the JWPrintables Family. Agape! I enjoy these wonderful print outs!